» Returning to camp once more. Smallheart began to groom her fur. Warstar nodded Lets go she meowed, her broad shoulders moving with ease to camp. Fighterspirit followed with a bloody and matted coat. Smallheart got up and followed. Smallheart went over to Jadestep and offered to pull ticks off her. Jadestep nodded and purred as one by one, the stubborn fleas came off her back, tail and legs. Bramblethorn checked Fighterspirit over, getting the ticks and fleas off of her. Fightspirit smiled at her brother. Warstar shook her jet black, sleek pelt. Brightheart and Bearstep checked eachother over as the kits played. Fighterspirit was now pretty again. Smallheart thanked Jadestep and stalked off to the prey pile. She grabbed a fat rabbit for Warstar. Jadestep took a huge fish to Brightheart, Bearstep and the kits to eat. Jadestep then took a mouse for herself as Smallheart came up and claimed a vole. Smallheart purred and headed for the warriors den to rest. Jadestep swallowed her mouse, taking only the edge off her hunger. She then headed for the warriors den and slept. Snatchkit, Berrykit and Flowerkit tumbled with a ball of moss after eating the rabbit with their parents. Bearstep prodded his kits away when they all landed into his chest. Ill go ask Warstar to make them apprentices. He mewed. He got up and headed out of the nursery after rasping his tounge over Brightheart's ear. Brightheart purred and began to toss the moss ball with the kits. Bearstep arrived at Warstar's den. Warstar, they need to be made apprentices. They are seven moons old tomorrow. He mewed. Of course she meowed and jumped down. Bearstep purred. Thanks. He mewed padding back towards Brightheart and the kits. Warstar got ready for a clan meeting. Brightheart and Bearstep quickly groomed their kits. 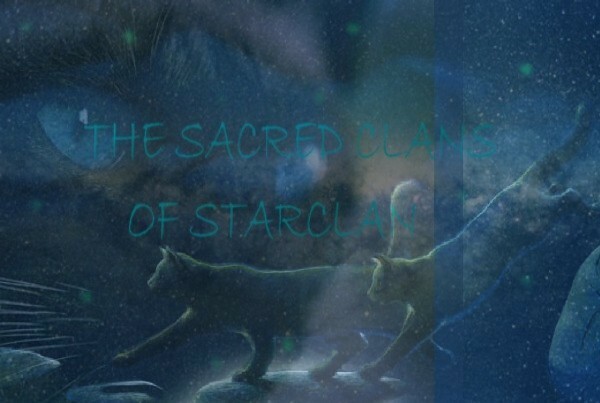 Warstar chuckled and jumped up onto HighRock LET ALL CATS OLD ENOUGH TO CATCH THEIR OWN PREY GATHER AT HIGHROCK FOR A CLAN MEETING she yowled. The kits scrambled to the clearing with their parents close behind. Jadestep and Smallheart padded into the clearing. The wind picked up around Warstar and it shook her jet black pelt Young once, come up. Snatchkit, Berrykit and Flowerkit padded forward, their pelts glossy in the sunlight. Warstar smiled Sense there are so many of you , I shall name you all at once, Snatchkit will be Snatchpaw, mentor, Fighterspirit, Berrykit will be Berrypaw, mentor, Bramblethorn, and Flowerkit shall be Flowerpaw, mentor Greynight she purred. Bearstep and Brightheart cheered their names. Snatchpaw! Berrypaw! Flowerpaw! They yowled loudly. Smallheart and Jadestep joined in. Snatchpaw! Flowerpaw! Berrypaw! They yowled.